Its time to give a smooth and cozy touch to a home and this carpet is handwoven for the same. 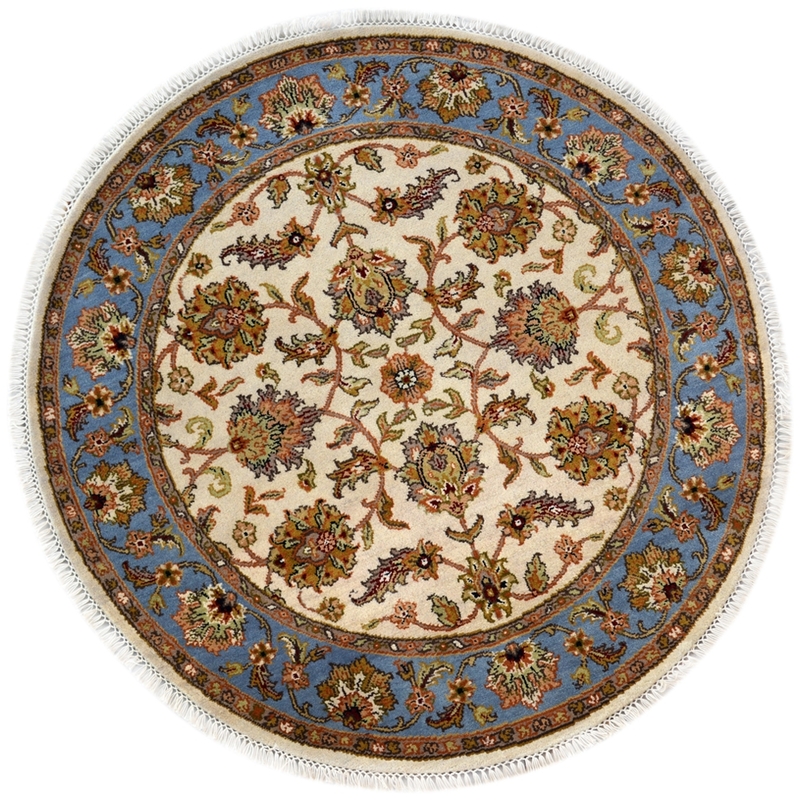 Buy this "One of a kind" handknotted circular area rug from here and provide a new look to your living space. This is Ideal for a bedroom, living room and dining room as well. Decorate your home with latest trends and give a classic look to your home décor by placing this gorgeous handknotted wool rug. Floral Net Kashan is totally handknotted in pure New Zealand wool and finest quality of cotton material. The warp is in cotton and weft is in wool. Weavers used the vegetable wet dying process for coloring the yarn and give an attractive look this carpet.